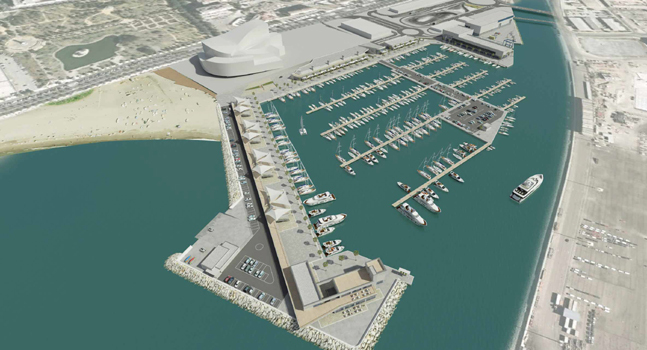 Sheikh Al-Thani’s company has pushed an additional step towards reactivating the endeavor to develop La Bajadilla port. The business which is to develop the concession for the organizing of and the improving of the port, remains constituted in line with the terms necessary by the Agencia Pública de Puertos de Andalucía (APPA). Given that it has complied with some of the demands it had previously failed to interact with, an obstacle that led to procedures being started to recover the concession, the building contractor is likely to ask without delay for those procedures to be terminated. We have found that the sheikh’s workforce is to supply the APPA with all the notarised deeds indicating that the ‘Nas Marbella’ concessionary corporation is established in terms defined under the requirements; simply put, having an investment stock of 21,211,000 euros, of which 5.3 million has to be handed over now. It was among five factors that were not fulfilled; the APPA regarded this to be a significant misdemeanour and has currently imposed a fine of 30,000 euros on the building contractors.The organization was initially set up in October 2012, nevertheless capital stock was inadequate; this should have already been at least 25 per cent of the anticipated expenditure (in this instance 21.1 million since the project is valued at 84.4 million), and of this proportion 25 per cent, i.e. 5.3 million, handed over. Up to now ‘Nas Marbella’ has had a investment of only 4.2 million, nevertheless the sheikh’s party had taken the initial step on June 18th by raising the share capital of Nasir Bin Abdullah & Sons – at this time the only shareholder in Nas Marbella – to 5.3 million euros, and on July 2nd it took an additional move by raising the share capital to 21.1 million.The deed, that rectifies the initial one of last October that was disregarded legal by the APPA, was authorized at the notary office in Marbella by Al-Thani’s lawyer in Malaga, Moayad Shatat. This demonstrates the rise in capital stock of the parent company to 5.3 million euros as well as boosts the capital of Nas by a additional 15.9 million, by raising the minimal value of the shares to total 21.1 million euros. In line with the document, the increase of 15.9 million euros is going to be completed “in cash, on the times portrayed by the Board of Shareholders and within a maximum of two years”. This also demonstrates the donation of 250 shares – corresponding to two per cent of the organization – to Marbella council and an additional 125 – 11 per cent – to the Puerto Deportivo de Marbella municipal organization. The contract implies that this transfer is “pure, simple and free of charge” which is due to the fact “the presence of Marbella council and Puerto Deportivo de Marbella SA is dependent on the protection of public interest and devotion to the appropriate delivery and administration of the contract, granted its significance in the foreseeable future development of Marbella”. The contract additionally says the organization will pay its own shares along with the ones from the council and Puerto Deportivo and can pay the costs and taxes deriving from two donations.Currently it remains for the council, who have delayed taking part in the concessionary organization until it was set up in agreement with the requirements, to accept the shares and form part of the organization. These actions by the Al-Thani group, that make a qualitative change to the matter of the port project, were informed to the Ports Agency, that is awaiting some other points to be concluded. Such as the payment of the fee and paying of the providers of port services.